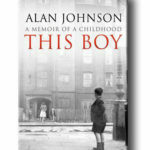 On Tuesday 26th April 2017 I enjoyed discussing the book written by Alan Johnson called This Boy with other members of the book club. It is an interesting autobiography of Alan’s early years growing up in London in the early fifties, sixties and seventies. It was enjoyable to debate the content of the book and the memories this book provoked for some members. It was agreed that this is a well written book and a pleasure to read. Joy our book club leader then introduced us to the book we are all currently reading which is Small Island by Andrea Levy and I’m looking forward to discussing this when we meet again on Tuesday 24th May at 5pm until 6pm. If you’d like to join us you would be very welcome.